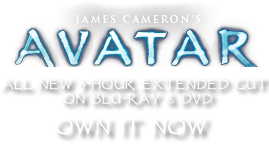 Harvesting Fruit | Pandorapedia: The Official Guide to Pandora | Own AVATAR on Blu-ray & DVD Now! Like much of the flora and fauna on Pandora, fruit and vegetables potentially grow to colossal size. Giant fruit provides a valuable source of food for the Na'vi. The fruit is dissected to be eaten immediately, or packaged in large leaves for distribution and/or storage. Size and Weight Various, but can be up to sixty centimeters in diameter. Weighs five to nine kilograms.